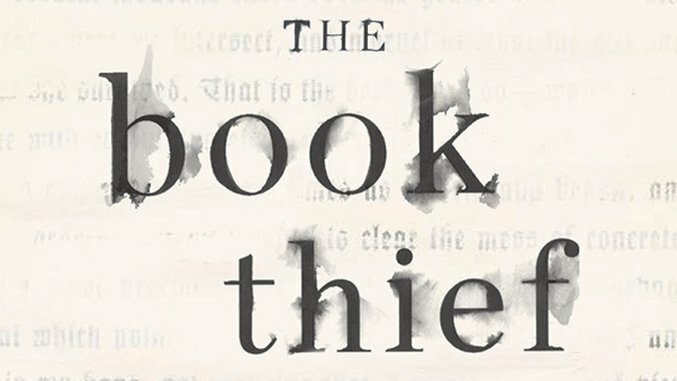 As conceived and articulated by Markus Zusak, channeling his parent’s anecdotes of the Holocaust, The Book Thief celebrates the legacy of words changing worlds. Zusak, now on tour to celebrate his novel’s 10th Anniversary and its expanded edition with a new afterward and author’s notes, has born witness to the work’s impact. “People say things to me like, ‘I feel a lot better now about dying because of the voice of Death.’ I’m just shocked that it’s gone into so many different pockets of communities—young and old people have read it,” the Australian writer says. As Holocaust literature, The Book Thief both joins and stands apart from company like Anne Frank’s seminal The Diary of a Young Girl, Lois Lowry’s Number the Stars and Elie Wiesel’s Day/Night. It offers an achingly beautiful portrait of hope nurtured when the world’s foes were far more oppressive than anything the most surreal fiction could conjure. The Book Thief also offers an existentially-altering new scope for the genre; Death itself narrates Liesel’s journey, offering the perspective of a universal handyman exasperated by humanity’s cruelty, yet enlightened in the wake of a remarkable heroine and the lives she touches. A Printz Honor Book and one Paste’s favorite books of the aughties, The Book Thief has carried its message of hope and empowerment without any sign of wavering. We talked on the phone with Zusak as he reflected on the sleepless writing sessions that produced the novel, its impact on his own parenting and the progress of his next and equally-ambitious book, Bridge of Clay. Paste: In the afterward of the The Book Thief’s 10th Anniversary Edition, you say that you were exhausted by writing the book and would never be able to write it again now. What made those three years so intense? 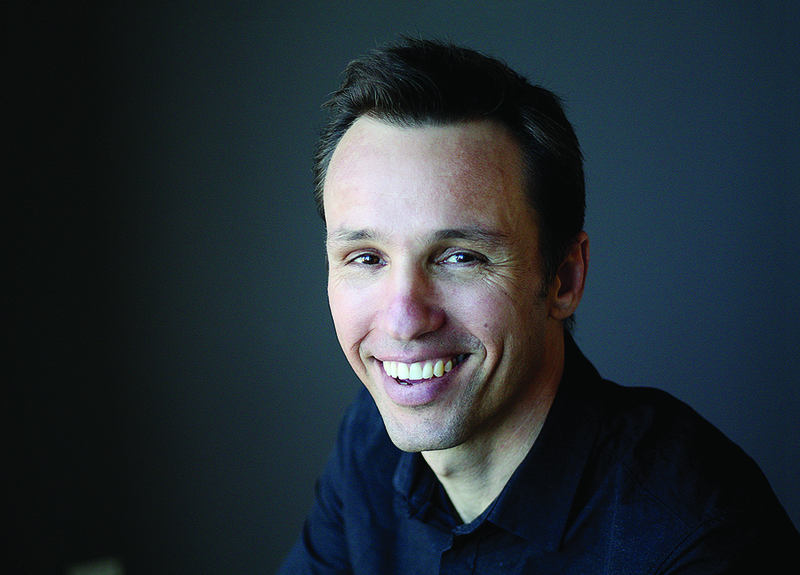 Markus Zusak: I think it was because I’d become more of a full-time writer then, even though I was still spending a lot of time doing other jobs. I was speaking in schools and doing other things at home to make a living, but I was still writing consistently every day, rather than working at another job and not writing at all for weeks on end. I think it just came from a different place than my other books did, although you don’t realize that at the time. You just think, “here’s this book,” and all you see are the problems with it. And I had a lot of problems writing the book, too. And that makes it, in the end, even more special when it’s finally done. Even then, I think you’re always wracked with doubt. You’re always doubting your abilities, and that’s what makes you better, as well. In this case, I probably hadn’t written characters that I loved as much as the characters in that book. And so when, finally, it was done—and I finished it over two long nights where I just stayed up all night. And I think we all get a bit more emotional when we’re tired and hungry. It was a real relief when I finished, because it was a much bigger book than I’d attempted before. Ultimately, if I were to sum it up, I’d probably say, more than any of my other books, it was a book I wasn’t sure I could write. I’ve heard some writers say things like, “Well, I’m a professional writer. I only start books I know I can finish.” I look at it maybe the other way: I only want to write books I’m not sure I can write. And The Book Thief was probably the first book like that for me. Paste: What made it so daunting compared to your other works? Zusak: I think just the scope was bigger. And there’s more on the line because of the period in which it’s based in. That grew on me as I was writing it as well. At first, I started thinking it was going to be a 100-page novella. I obviously got carried away, and it turned into this 500-plus page book. I started writing it, and I had bombs coming down at the wrong time and things like that. You do that in your first draft. I wrote, and when I was hitting a wall, I researched. Then I’d write some more. The first research I had, really, were the stories my Mom and Dad told me growing up. And I loved hearing those stories. I asked them to tell me the same stories over and over again. So, when I started the book, it was like scratching something out of my mind and reaching in and pulling that world out. That’s what I began with. That was my first research in a way. The other analogy I use is imagine waking up one day and you can speak another language. That’s what it was like to start writing that book. So it seemed to come from somewhere a little deeper inside of me than the other books, which were more about me and my own time growing up. This just felt like it came from somewhere a bit deeper than that. Paste: Your narrator, Death, is initially exhausted by humanity and its perpetual need for conflict. As you say, “Death finds us at our weakest, at our worst.” When you began writing this in the Winter of 2001, how much were you projecting into that character? Were there any specific events or climates during that caused you to hold a similar attitude? Zusak: To be totally honest, probably not. The reason Death was the narrator, and the reason Liesel came into the book, were just by chance. I was writing with some kids at a school where I was teaching at the time, and I got them to write about color. I wrote with them, and I realize I’d written three short passages about three deaths. And they were written from the point of view of Death. And I thought, “Maybe I should just put that in that book I’m thinking of setting in Germany.” I had also written a page of a book about a girl stealing books in modern-day Sydney. And then I thought, “Why don’t I just put that in there as well?” They were almost like off-hand thoughts. I didn’t even do anything. I just walked around with that for a while. Then I started writing and just the idea of Death narrating…I just thought war and death; people say they’re like best friends. Who better to be hanging around during a time of war? That was where it started. I had written 200-250 pages with Death as the narrator, and he was just too sadistic and macabre. It didn’t feel exactly right. So I scrapped that and thought, I’ll just get Liesel to tell the story, which immediately shrunk the book down, but then gave me a new problem. It’s that idea that people think writers are whimsical people who are imagining things all the time, and that we’ve got great imaginations. In my case, it’s more that I have a lot of problems, and I have a lot of problems when I write, in particular. The problem is, in this case, is that even though I have a German and Austrian background, Liesel is now the most Australian-sounding German girl in the history of books. So I scrapped that, and then I went to a straight third-person narration. And in a way, this was everything that I was wanting to avoid in the first place. And it was only when I reimagined Death as he was, but just brought it back a notch and thought, “What if he’s actually scared of us, and for us?” And he’s seeing us at our worst, and what if he wants to tell one story out of a multitude of stories, because we all have good and bad in us? So what if he’s telling this story, to show himself in a way, that humans can be beautiful and worthwhile and selfless? Once I started with that idea as the voice of Death, I went back to the beginning and started again, and I wrote all the way to the end. That was still a good year and a half of work ahead of me. Paste: This novel was built on the storytelling foundation of your parents’ experiences in Austria and Germany throughout the war. 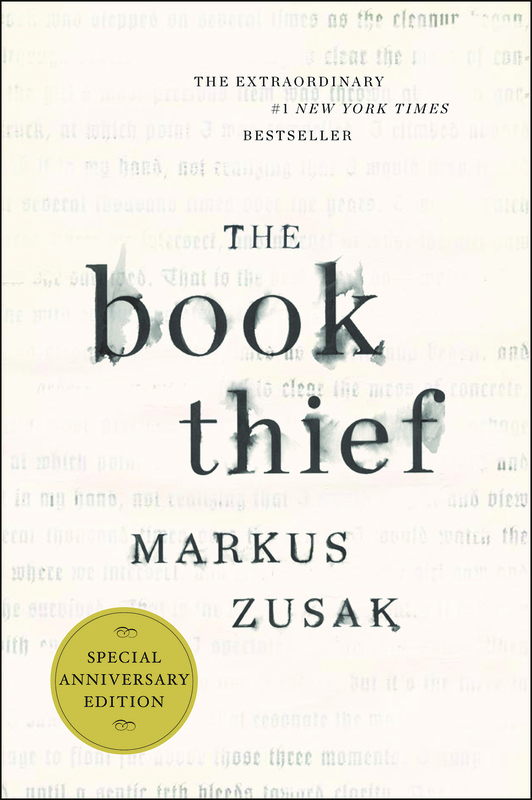 Did readers approach you with their own wartime legacies after reading The Book Thief? Zusak: Every now and again some people say, ‘I’ve got a story I could tell you.’ It’s not as common as you might think. I’m usually reticent to take those things on, because it came from my own family, I’d hate to use somebody’s story for some kind of personal gain. I think the point, as well, is that a lot of those stories could be biographies, and I don’t think I have biographies in me. As soon as I hear a story, I think, “What if that actually happened like this?” A really good case in point is in The Book Thief. My Dad always told me this story about his own father, and he was sent to the First World War. Then he was sent to the Second World War, because he wouldn’t let my Dad be sent to a special school to make better Nazis, basically. And he was punished for that by sending him to the warzones, and while people went underground, he’d stay up in his units to put all the fires out and dismantle landmines. He was on this truck once, and this guy says to him, ‘That’s my seat,’ and my Dad’s father says, ‘Well, not anymore it’s not.’ He was a tough, hard-nosed guy. After a while, the fiction and nonfiction lines start to blur a little bit, and you start to wonder what’s what. I think with other people’s stories, I have to be a lot more careful. People have told me their life story, but at the moment, I’m too caught up with the stuff I’m trying to write. We’ll see. I have a few ideas for maybe some sort of biography, but I’m not sure I’m there yet. Paste: Going back to Death, you’re also god and death in these stories you create, which you reiterate by saying that many of the characters broke your heart, even though you held their fates in your hands. What characters were hardest for you to let go of? I immediately imagined Rudy turning himself into Jesse Owens and running 100 meters at the local track. I loved him the most from that moment on. He was definitely the hardest character to let go of, if you wanted to look at it like that. People come up to me sometimes and say, ‘ How could you kill Hans?” Or, “How could you kill Rudy? How could you do that?’ And I say, ‘You have no idea. I was a total mess when I was writing those last 50 pages.’ But not for one second did I consider saving either of them. You have to do what’s right for the book, not what’s right for one character in the book. I also say to them that maybe we wouldn’t love those characters as much if they’d survived. In a lot of ways, it’s just more poetic that they died the way they did. And that sort of thing happened. There are all sorts of cruel fates involved in that as well. The only reason Rudy’s there is that his Dad tried to save him, like what happened with my own Dad. His Dad tried to save him from going to this special Nazi school. Had he let him go, he would have survived, and the father was actually the only survivor because they sent him to the war as well. All those deaths at the end of the book [represented] the idea of these terrible twists of fate that a war, more than any other time, would deal out. You get caught up in that in the writing and start to realize that this is what war does to people.